This Optical Crystal Pentagon Star paperweight is a wonderful gift to personalize. Foamed Gift box included. Clock and photo frame combination gift measuring 4 3/8" wide x 1 7/8" deep x 5 1/2" tall with 2 5/8" x 7/8" engraving plate included. This gift clock and photo frame is great for a desk or bookshelf. 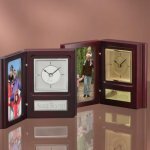 Frame accepts 3" x 5" photo. (Left) Chrome metal option. (Right) Brass metal option. 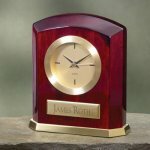 This elegant desk clock measures 5 3/4" wide x 1 3/4" deep x 5" tall with 3" x 5/8" engraving plate included. 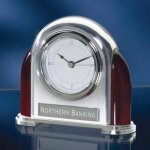 Rounded design features of this desk clock include a brushed chrome metal front, polished chrome top and piano finish wood sides. This three in one desk set gift award measures 8 1/8" long x 3 7/8" deep x 1 1/4" tall base with 3 1/4" x 7/8" engraving plate included. 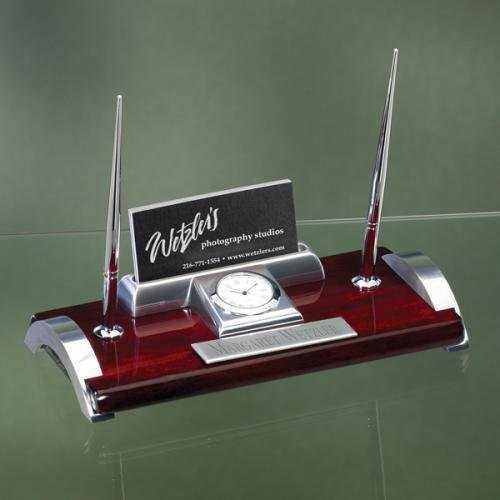 A Rich, piano finish wood has been accented with chrome metal. Pens included and use standard ballpoint pen refills. 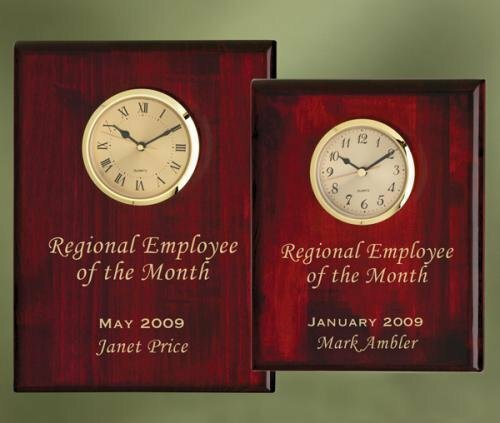 An excellent executive gift, employee award, boss gift or secretary gift. 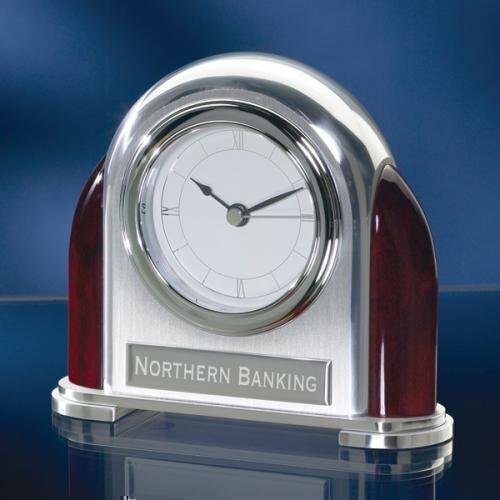 Glass and rosewood piano-finish clock with gold metal accents, diamond-spun dial, three hand movement. Laser engravable brass plate. Gift box, battery included.